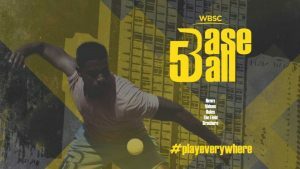 LAUSANNE, Switzerland –The World Baseball Softball Confederation (WBSC) released new and expanded rules to WBSC Baseball5™, the urban, five-on-five variation of the global sport of baseball and softball. “Baseball5, which only requires a rubber ball to play, has already been introduced in over 40 countries and across all five Olympic continents since its official launch less than a year ago,” said WBSC President Riccardo Fraccari. “The second edition of the Baseball5 Rulebook provides the provisions and international architecture for this urban discipline to continue growing at a fast pace while maintaining our standardization objectives. This new rulebook is a major step toward our upcoming Baseball5 World Cup and continental championships, with an eye set towards its inclusion into major multi-sport events”. Download the full rulebook here.